Craig (formerly known as Intern Craig) continues his tour of bath, body and beauty products at The Holiday Shops. Sabon is an icon of New York City’s bath and body industry and for good reason. Its range of artisanal soaps and lotions smell amazing and work well—great characteristics for a bath and body company. The Israeli based company has been a Holiday Shops mainstay for many years and Sabon continues its tradition of beautiful gift sets and cute stocking stuffers this season. 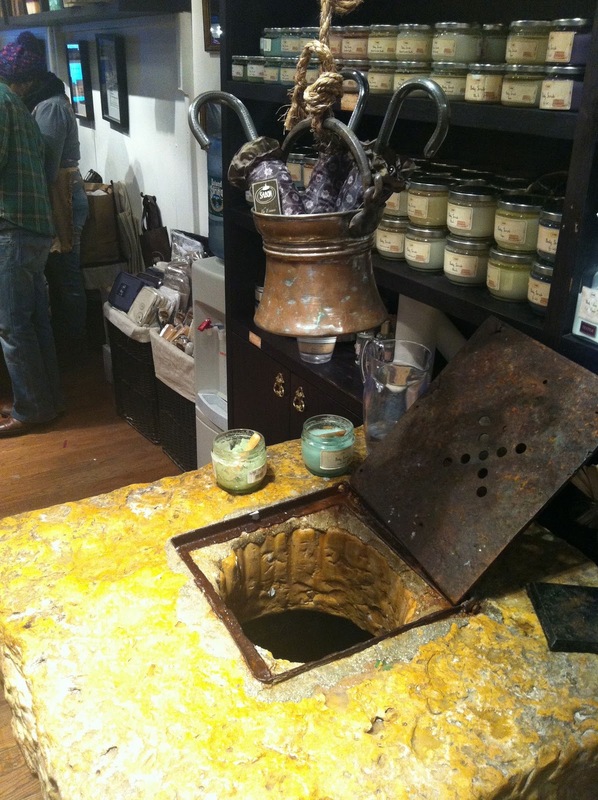 Sabon’s classics are all present as well as its famous sinks in order to try out any product you desire. As opposed to other stands that are stocked with already made gift sets, Sabon encourages customers to make their own gift sets and provides gift bags and boxes to cut the tedious step out of your holiday check list. Sabon has its hand in almost every category of the bath and body industry including candles, bath products, hair care, and baby care but Sabon’s employees are incredibly attentive and knowledgeable about the products. 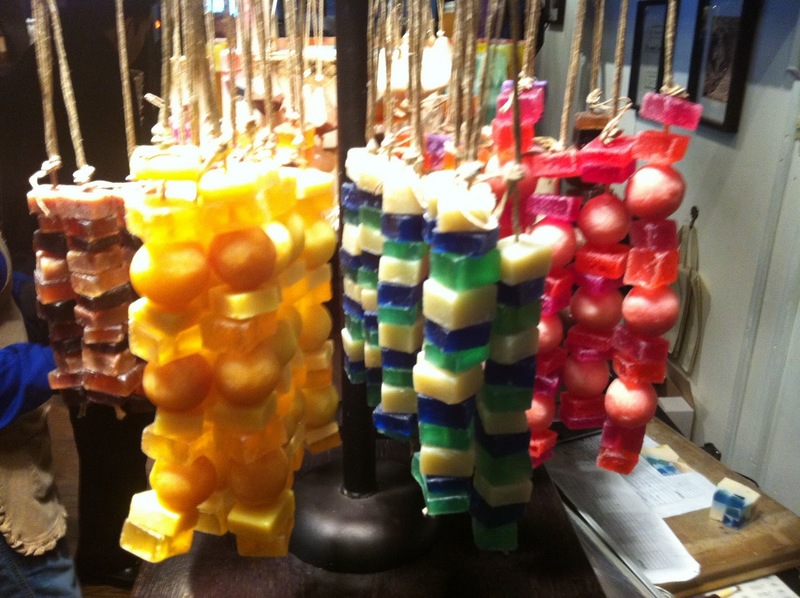 These “soaps on a rope” definitely caught my eye as stocking stuffers for the entire family. When hung inside the bathroom, they release their scent during showers and can eventually be used for bathing. How green of Sabon!